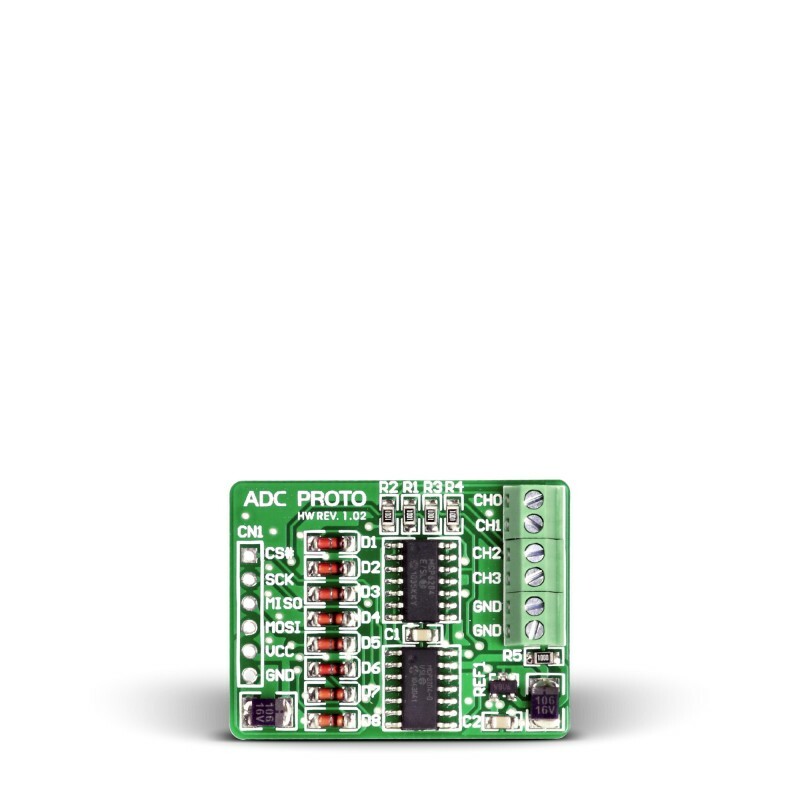 The ADC PROTO Board allows you to add A/D conversion feature to your prototype device. It includes a 12-bit ADC MCP3204 with 4 inputs and 4.096 Voltage Reference. The board can be used with all MCUs with SPI communication support. 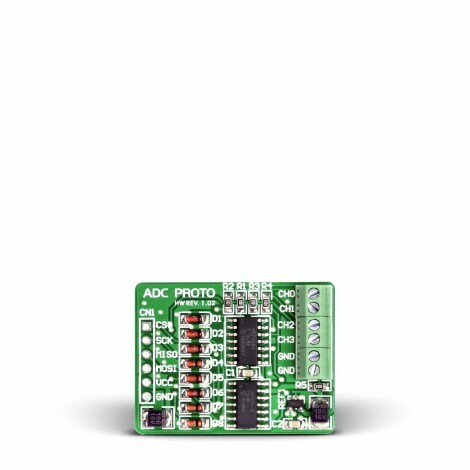 ADC PROTO Board includes a 12-bit Analog-to-Digital Converter (ADC) MCP3204 that features 100k samples/second, 4 input channels and low-power consumption (5nA typical standby, 400 µA max). Board uses industry standard SPI communication interface. It is small in size and features convenient screw terminals for easier connections.